Afghan Taliban Renew Call for Dialogue With US to End War - Integration Through Media ....! 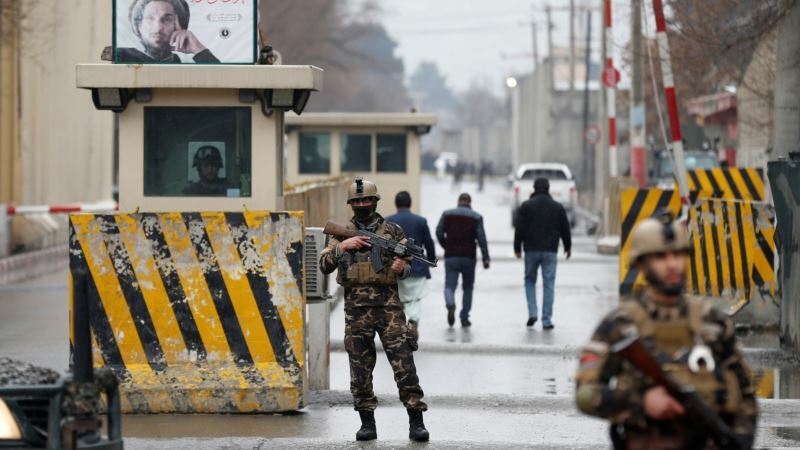 (VOA): The Taliban urged the United States on Monday to begin talks to end almost 17 years of war in Afghanistan, adding to a series of signals that suggest a greater willingness to explore options for dialogue. In its statement, two days before the start of a meeting of regional leaders in Kabul to discuss ways of ending the war, the movement said it wanted a peaceful resolution. “The Political Office of the Islamic Emirate of Afghanistan calls on American officials to talk directly to the Political Office of Islamic Emirate regarding a peaceful solution to the Afghan quandary,” it said. “It would help in finding a solution if America accepts the legitimate demands of the Afghan people and forward its own concerns and requests for discussion to the Islamic Emirate through a peaceful channel,” it said. The statement referred to reported comments by Alice Wells, the Principal Deputy Assistant Secretary in the U.S. State Department's Bureau of South and Central Asian Affairs, that the “door is open” for talks with the Taliban. Taliban statement Less than two weeks ago, the Taliban issued a statement saying they preferred to “solve the Afghan issue through peaceful dialogue.” The United States last year stepped up its military assistance to Afghanistan, notably through a sharp increase in airstrikes, with the aim of breaking a stalemate with the insurgents and forcing them to the negotiating table. While the U.S. military says the strategy has hit the Taliban hard, they still control or contest much of the country. They also claimed responsibility for two major attacks in Kabul last month that killed or wounded hundreds of civilians and shook public confidence in the Western-backed government of President Ashraf Ghani. U.S. officials say the only option for an end to the war is a negotiated settlement between the Taliban and the Afghan government. In an interview this week with Voice of America, Wells said the next meeting in the so-called “Kabul process,” beginning on Wednesday, would aim to make clear that there was the potential for dialogue. Peaceful solution sought “I’m confident that the conference is going to push forward regional efforts to enforce what has been our most important message to the Taliban — that the door is open, there is a path to peace and stability.” she said. But while all sides say they want a peaceful solution and there have been behind-the-scenes contacts, the only major peace talks broke down almost immediately after they started in 2015. The Taliban, fighting to restore their version of strict Islamic law since they were driven from power in Kabul by a U.S.-led campaign in 2001, have in the past insisted that international forces must leave Afghanistan as a precondition for talks.